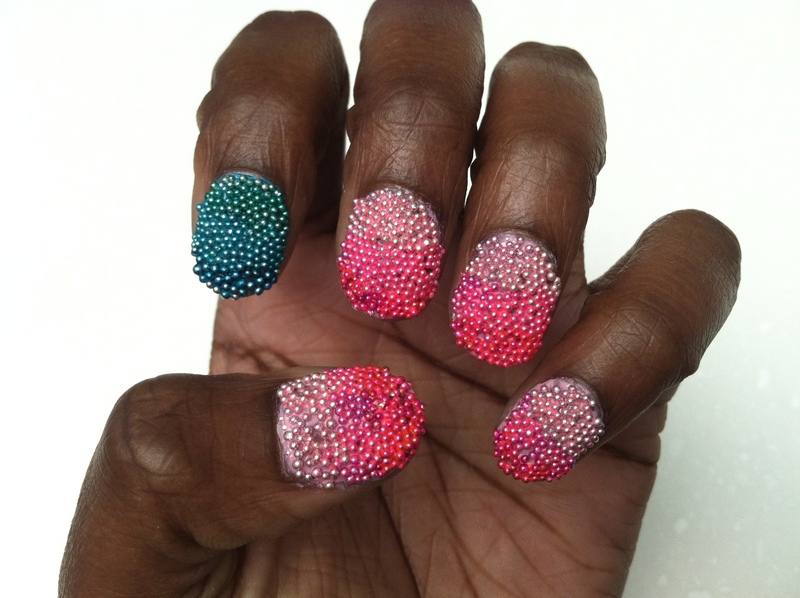 So I took a brief trip into the world of caviar nails in my last post, but for this one, I wanted to go all out. Again, I wanted to do something different than how people are now using craft microbeads to create interesting texture on nails. Why not call on my good old friend, the ombré color scheme? Hope you all enjoy them too. My coworker called them ‘braille nails’. Is that offensive? 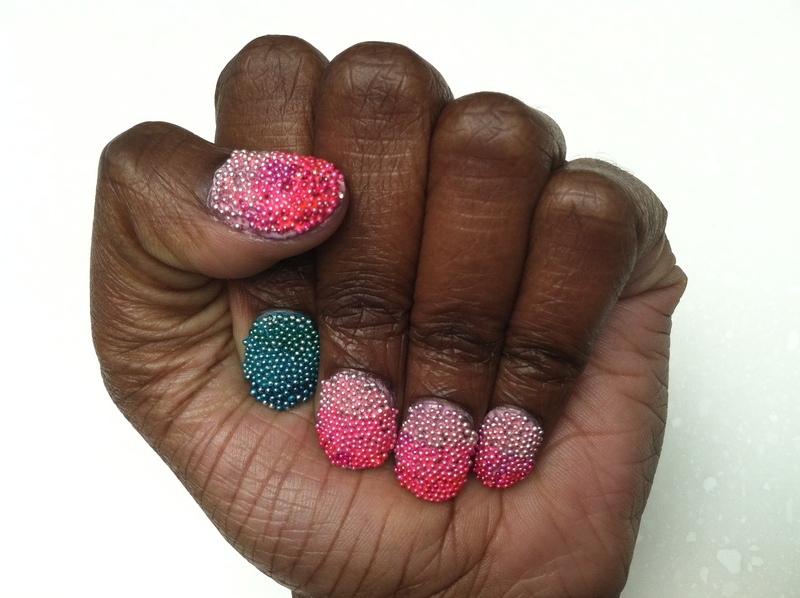 Posted on April 18, 2012, in Trend Watch and tagged Caviar Nails, Nicki Minaj, ombre nails, OPI. Bookmark the permalink. Leave a comment.